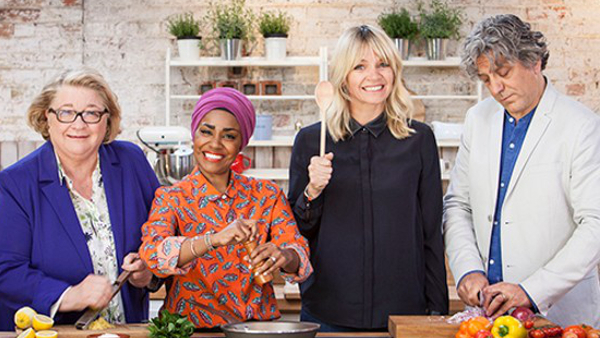 The Big Family Cooking Showdown is a major new competitive food show that meets a variety of families from across Britain. 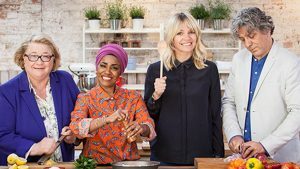 The 16 families will welcome presenters Zoe Ball and Nadiya Hussain, into their own kitchens to whip up dishes using their favourite family recipes. Judging their efforts every step of the way are top Michelin-starred chef Giorgio Locatelli and renowned cookery teacher Rosemary Shrager. Series judges Giorgio and Rosemary will set challenges in both the studio kitchen and home kitchens up and down the country, whittling down the teams of cooks, to find the overall winners.